Comments: Emil Mazey (Nee: ) | Detroit MI United States | | Comments: Cousins: Left; Emil Mazey, Albert Mazey, Ernest Mazey, William Mazey, Anna Mazey, Helen Mazey, Mary Mazey, Kitty Mazey. Emil and Ernest Mazey, along with Walter Reuther and Richard Frankenstein, went on to form the UAW. 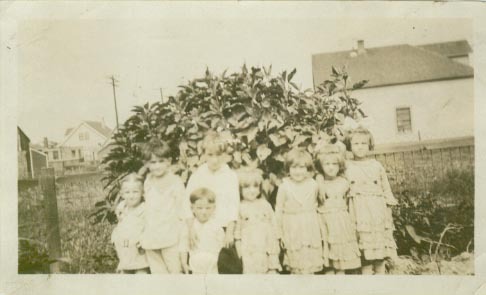 The males are the children of Lawrence Mazey (along with Kitty Mazey), while the females are the children of Alex Mazey (Lawrence's brother). Lawrence and Alex originally came from Bukovina, Romania and then settled in Regina, Saskatchewan and finally, Detroit, Michigan.